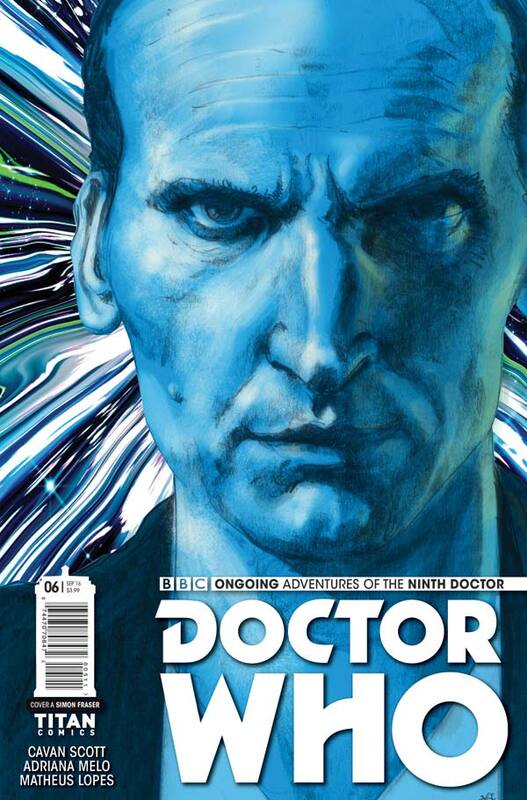 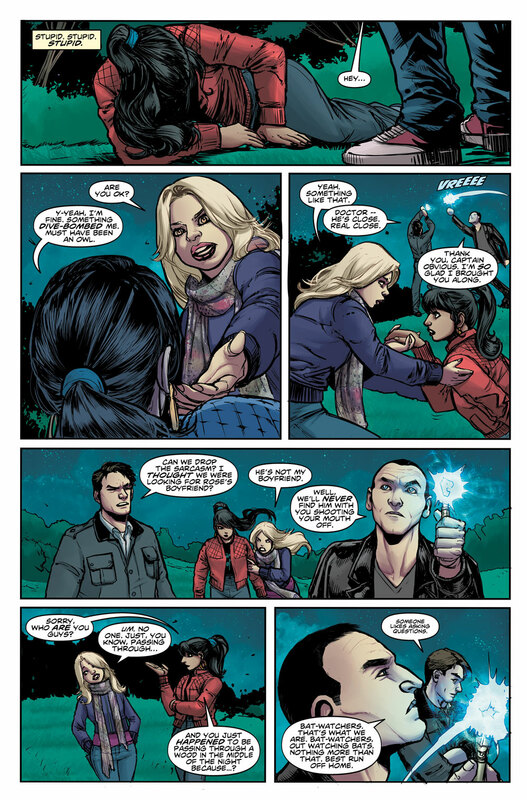 The Fellowship has obtained a first look at DOCTOR WHO: THE NINTH DOCTOR #6 from Titan Comics. 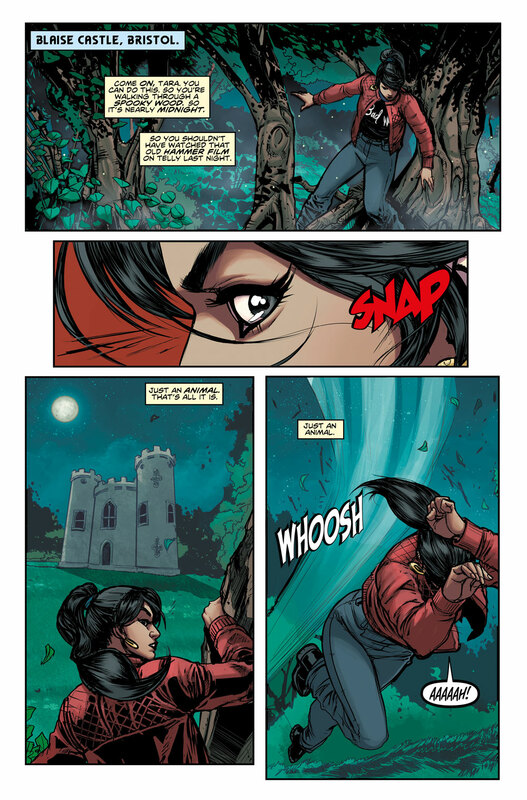 The issue, which hits stores October 5th, is written by Cavan Scott with art by Adriana Melo, colors by Mateus Lopes, and letters by Comicraft. 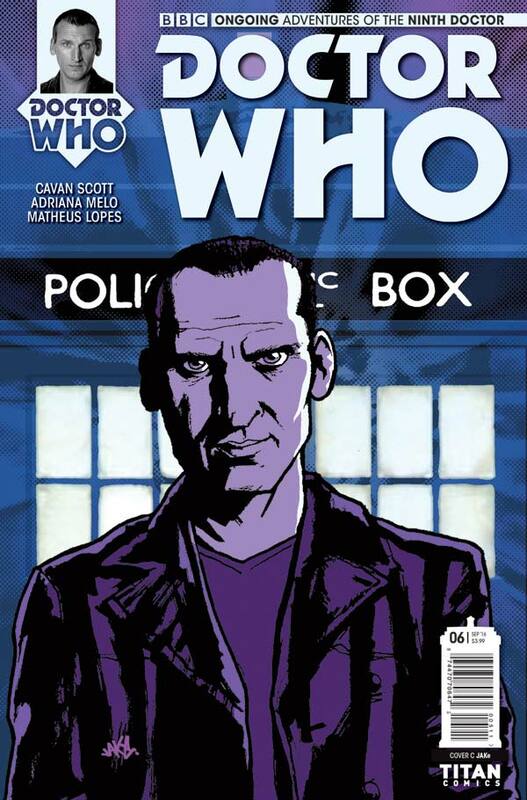 The cover is by Simon Fraser, with a photo variant and a variant by jaKE.